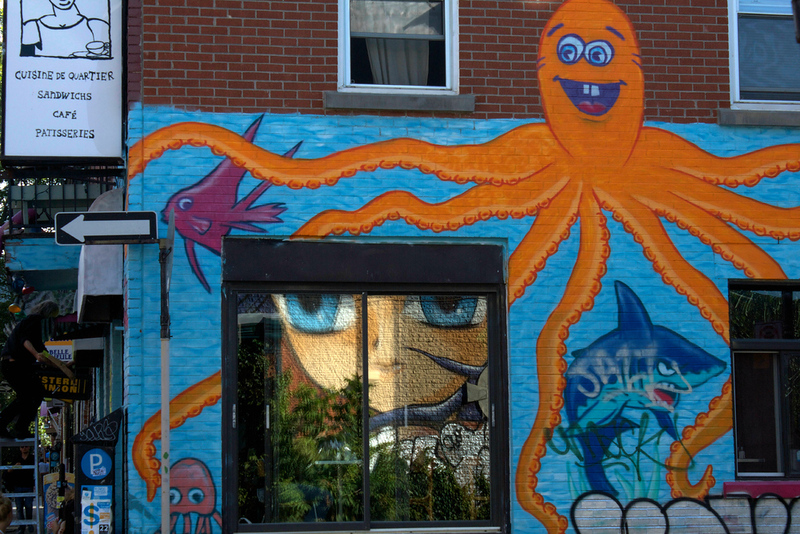 Capturing street art in Montreal, or has graffiti captured me? It's about darned time I shared some of my latest photographic projects. I'll settle down and write about my travels one of these days, but in the meantime, here is a selection of my latest street art images, all from the last nearly three weeks in Montreal. Most are iPhone 4s captures; a couple of DSLR shots have probably snuck into the mix. If you like what you see, please follow my Instagram feed, which is getting updated almost every day with new and shiny stuff. I'm making an attempt to embed a YouTube slide show here. Let's see how it goes! For larger versions of individual images that won't jump around, check out the related gallery here.